The role of plants and gardens in healing has been known from ancient times. As early as 3000 BC the Chinese were using medicinal herbs. The Greeks built a temple and healing gardens with bathing pools for their god of healing. The earliest hospitals in Western Europe were infirmaries in monastic communities where a cloistered garden was an essential part of the environment. 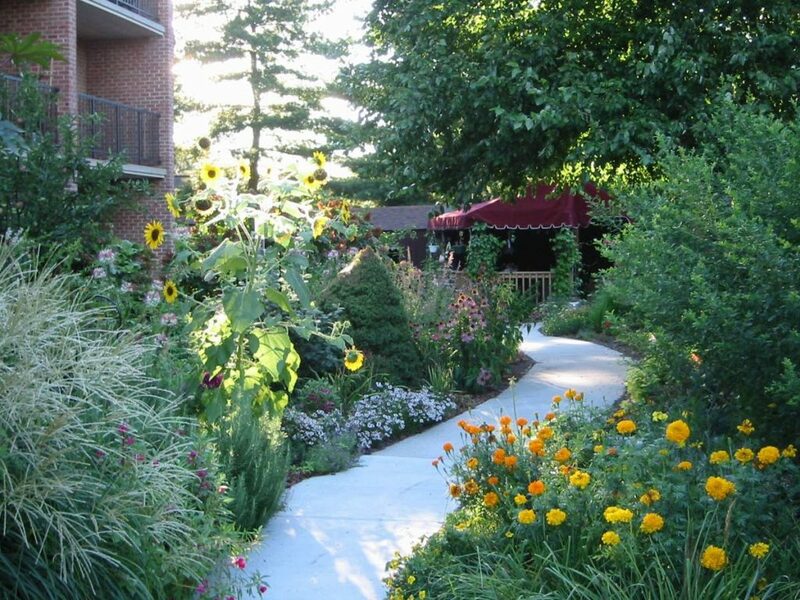 Within the past few decades the medical community is rediscovering the healing power of gardens and many hospitals and healthcare facilities are incorporating green spaces and gardens into their surroundings. There are many kinds of healing gardens, each one being designed for different users with specific needs and goals. The gardens are designed and constructed to meet the physical, psychological, social, emotional and spiritual needs of the people using the garden. 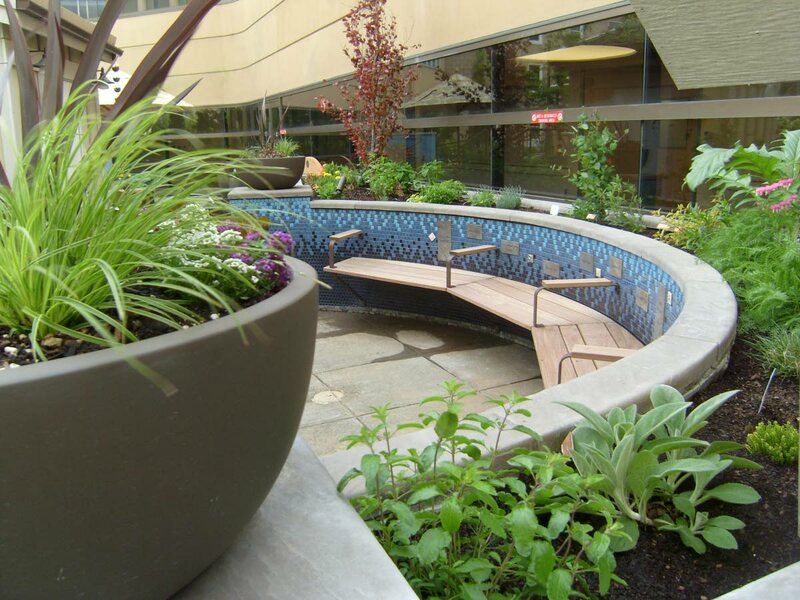 Healing gardens can be created anywhere – on the grounds of hospitals, including cancer care clinics and senior citizens homes. In developed countries these gardens are often constructed on the grounds of “progressive” companies as areas where staff can unwind, meditate and de-stress and just reconnect with self. Companies in developing countries may be encouraged to follow suit. These gardens can take many forms but always include plants to appeal to the five senses using a variety of textures, scents and colours. Colourful flowers changing with the seasons please the sense of sight; aromatic herbs such as thyme and mint create a connection between them and the meals eaten. Not forgetting the sense of touch, plants with soft flowers, rough bark, fuzzy or succulent leaves should be included; small fruits or vegetables such as peas may satisfy the sense of taste, and lastly, consider the sense of hearing. The wind makes rustling sounds as it blows through the plants and small animals, birds and insects also enliven the senses with their sounds. 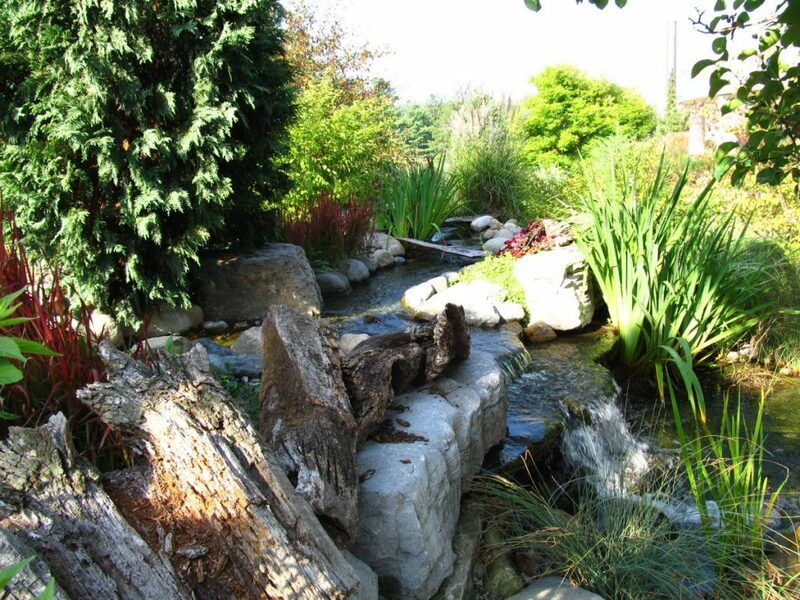 A water feature such as a pond or waterfall is very relaxing and koi or goldfish can be kept in the pond. There must be ample pathways in the garden to accommodate wheelchairs and walkers. Quiet places to sit with comfortable seating should be provided in shaded spots under the trees or umbrellas, or perhaps a gazebo to provide a ‘home’ connection. In some gardens raised planters are put in for easy access by the users who are more active in the garden. As reported by Dr Sandra Celestine in Sunday Newsday on August 20, 2017, the University of the West Indies, St Augustine campus, with partial support of The Eastern Horticultural Club is pioneering the development of therapeutic healing garden with the construction of one at the Health Services Unit. This complements the mental health and medical services available to students. Another healing garden, located at Autism Place in Mausica at the headquarters of the Autistic society of Trinidad and Tobago was highlighted by Zakiyah Ramsingh in the Sunday Newsday on October 15, 2017. This has also shown some progress although help with maintenance is needed. Lantana was planted in one area, attracting butterflies that the children had fun chasing. Herbs were planted in another area to give a variety of scents from the crushed leaves. Tomatoes and cucumbers are now growing and the children are taking part in looking after them. Anyone wishing to make a donation or to volunteer their help to either of these projects please contact the Eastern Horticultural Club. For further information contact the Eastern Horticultural Club at 357-5033, 720-2698 or easternhorticultural@hotmail.com. The club meets the first Saturday of every month (except public holidays) at 3 pm at Moreton Hall, Aramalaya Presbyterian Church, Cochrane St, Tunapuna.